hEr_Volution Workshop - How it went and how you can get involved! When I was seven years old, I received a microscope for Christmas from my parents. I used to play with it for hours on end – looking at the slides of bugs and bacteria that came with the set. From that point on, I was hooked and knew I wanted to have a future career in science. I had many great teachers through out my school years and family that cultivated that curiosity into a passion. Unfortunately, some girls do not get that opportunity to grow and explore science due to limited access and social pressures. I knew I wanted to use my positive experience as a woman in Medical Laboratory Science to mentor girls to consider STEM (Science, Technology, Engineering, Mathematics) careers as an option in the future. In my travels on Twitter, I came across hEr_Volution, an organization promoting STEM education in Canada to female students. Immediately, I reached out to see how I could be involved with them and promote what they were doing. After having a great phone conversation with Doina, the Executive Director of hEr_Volution, I was invited to host a workshop about my experience. 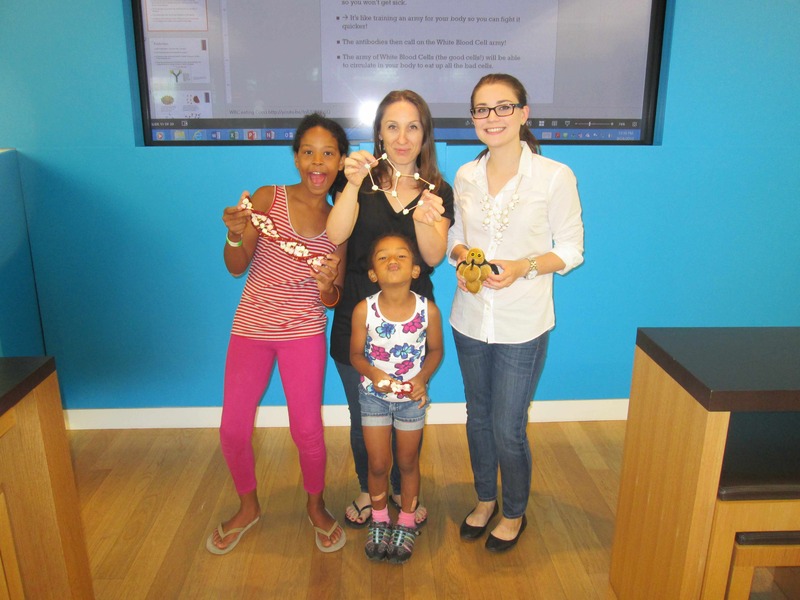 On August 24th, I had the pleasure of hosting a workshop for hEr_Volution at the Microsoft Store in Yorkdale Shopping Centre. I was able to speak about my experience as a Medical Laboratory Science student at The Michener Institute as well as provide insight to how vaccines are made and how medical testing is done. For a lot of younger children, this area is not touched in school until high school and it was great to be able to expose them to this line of work early on. 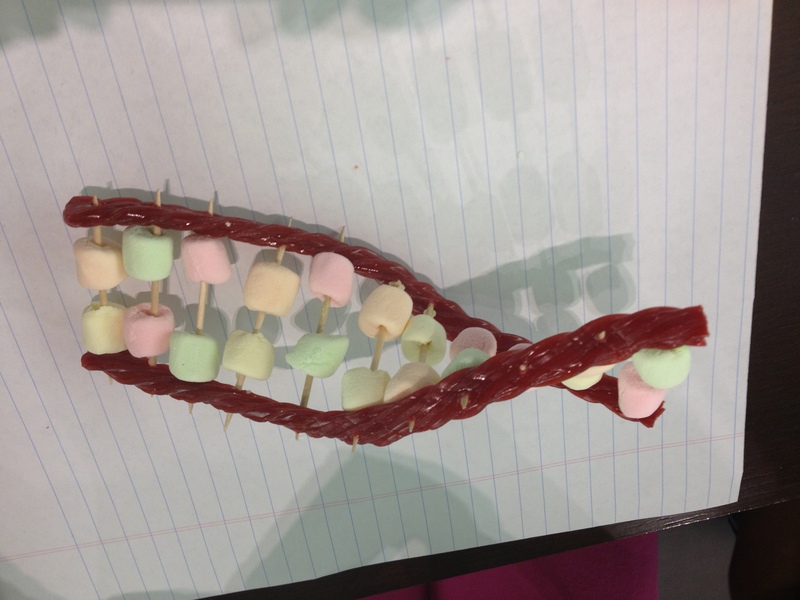 I also included a fun hands-on activity to make “candy DNA” to teach the girls about the structure and function of DNA molecules! Workshop attendees included young girls between the ages of 5-12 and also Toronto area educators that were looking how to further their knowledge about the Medical field. I had some great discussions on how to teach DNA techniques and testing to younger students in a concept then understand. Any opportunity to get science into schools in a fun way is something I support! I am honoured I was able to represent Medical Laboratory Science and female scientists to encourage girls to consider STEM careers. I strongly encourage you to get involved in your community and to visit hervolution.org to find out more about their work. As many people do after high school, I went through the motions of starting University – hoping to find something I connect with for a future career. I always knew I would be in the science field in some way, I just didn’t know what exactly that would entail. During my second year of University, I was taking a number of labs in Biochemistry and Organic Chemistry with Teaching Assistants (TAs) due to the larger class sizes. Some of the TAs aren’t as invested in the class as others so when you find a good one, you stick with them. I was placed in Misty’s lab section during my first semester and knew she was someone I would look up to for the rest of my career life. She was a Ph.D student in Biochemistry and was also a soccer player on the side. As one of the only women studying in her field and her passion for science, she truly had a profound effect on how I viewed my own future science career. I saw that the possibilities were there if I wanted to them, it just takes a little hard work. After I graduated with my Bachelor of Science, I did not want to stop my education there. I felt unfulfilled, like there was more out there for me to learn. I decided to go back to school at The Michener Institute to obtain my diploma in Medical Laboratory Sciences and every day I thank myself for making that decision. I have been overwhelmed with the amount of opportunities I have been presented with during my time at Michener, including working with Rogers Social Insiders. I have been able to attend multiple conferences as a student, connect with industry professionals and work with organizations on STEM outreach. My decision to further my education has greatly changed my life and has allowed me see how valuable life long learning is. The amazing thing is - anyone can have the same journey I had but unfortunately many do not due to lack of funding or accessibility to technology. On September 25th, Rogers is holding Rogers Youth Education Day to help fund mobile tech units across the country to help youth get the skills and experience they need to excel inside the classroom and beyond. These units will each contain 5 tablets, a Rocket™ mobile hotspot and LTE connectivity provided by Rogers and you can help make that happen. Here's where my readers come in. Each tweet on September 25th (TODAY!) using #BrighterFuture or share of a photo on Rogers Facebook page will donate $1 towards these mobile tech units being brought across the country. It doesn't matter where you are in the world, you can support this wonderful cause to help the youth of today succeed. I've made it easy for you, click on this link to send out a tweet to donate $1! Gallbladders, Microtomy and an Upcoming Trip! 1) I grossed skin specimens (for the first time) for processing. It was interesting to learn about the different types of specimens and how they differ when being grossed. Excisions, shaves and punches all have different methods and needs. It also depends if there are stitches in the tissue or if they are suspecting melanoma. It might sound boring to the average person but it's amazing how much goes into making sure the appropriate samples are taken for diagnosis. 2) I got to cut open a gall bladder that was filled with a huge 25mm stone. 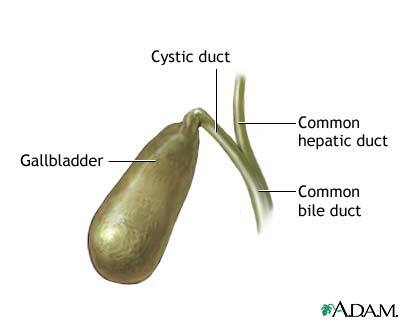 The gall bladder was about 3X the size of a "typical" gallbladder and the person much have been in tremendous pain as there was also a stone lodged in the neck. Key note: It's important to make sure you squeeze all the bile out before cutting... it can get a bit messy. 3) I started microtomy this weekend. Yes, the dreaded microtomy... but you know what? Everything went well! The wax was good, the tissues were soft and the blades were sharp. I am a little rusty but I was able to cut 60 slides in just over 3 hours today on my 2nd day, which I was happy with. 90% of the blocks require serials with most being 3x so they are more time-consuming than a 1x block. Apparently I have a static issue because a few of the ribbons were sticking to my hands so I need to figure out if I carry some kind of mystical charge that causes this issue. I had problems with static in my school's microtomy lab but figured it was just the environment... apparently it's me! Perhaps I will need to ground myself before cutting next time or I'll have to pick up one of those "ion" bracelelts. Lastly, I was awarded a OneLab Travel Grant from the American Society of Clinical Pathology to attend the 2013 General Meeting in Chicago! I blogged about the conference earlier this year when they announced that Hillary Clinton will be the Keynote speaker and my dream to attend. I applied for the grant on a whim thinking I wouldn't have a chance as a international member but I am thrilled I was selected! I'll be missing a few days of my clinical for the conference as it's from Sept 18-21st, which is why I have been working at the lab this past weekend to make up time. It's worth giving up some of my weekends to have such a great opportunity. I'm really doing the conference circuit this year since I went to LabCon2013 in back in May. If you want to follow along, I'll of course being tweeting using @MedLabMaven and @kurchenko. You can also follow the hashtag #ASCP13 on Twitter and Facebook. They will be livecasting some of the events so I recommend heading over to their Facebook page to see which ones you can catch! Also, if you're going to be at the ASCP conference, feel free to reach out and perhaps we can connect! Tomorrow starts the first day of my Clinical Semester! I'm on the home stretch of my 2.5 years at Michener! I feel like I say this at the start of every semester but I can't believe the day is finally here. My first rotation is in Histology and I've been studying for the past few weeks to brush up on the mechanisms on staining and processing techniques - some of the things we weren't able to do in school. The nerves are starting to kick in, as I'm sure they would for anyone but I'm hoping everything will be easy transition tomorrow. I want to make the most of my clinical semester and hopefully I'll have some interested stories and cases to share throughout my time! If you have any tips for my clinical semester, feel free to leave them in the comments. I'd love to hear from you!